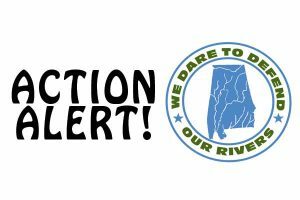 Alabama Rivers Alliance > Newsroom > Newsroom > ACT NOW to let Governor Kay Ivey know Alabamians deserve a strong and meaningful Water Plan. As you know, the Alabama Rivers Alliance and our partners have been working for many years to get a comprehensive Water Plan. Recently, the Alabama Water Commission created a “roadmap” for adopting a Water Plan. Please join ARA and our partners in urging Governor Ivey to create a strong and meaningful plan to protect Alabama’s 132,000 miles of rivers and streams. Please read below for our comments and CLICK HERE to join us in sending this letter to the Governor and the Water Resources Commission. We will include your name and city with our letter. Please sign on to these comments by Thursday, December 13. 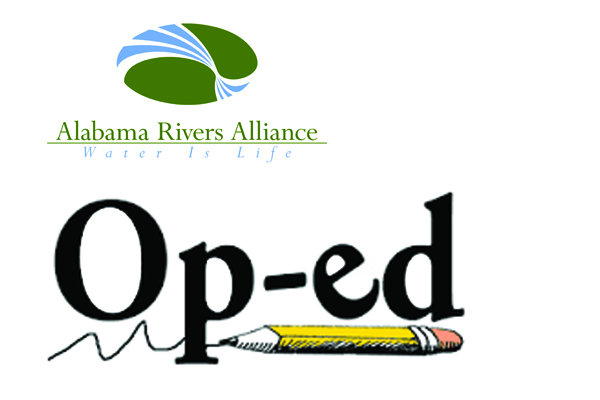 We write to express our support for a strong statewide water plan and to make recommendations for the development of an Alabama Water Resources Management Plan. Alabama is blessed with incredible water resources and wildlife—our rivers and streams are a way of life for us and countless other Alabamians. Despite this fact, all of our neighboring states are significantly further ahead of us at managing the supply of our most important natural resource. We commend Governor Ivey for directing the state to create a “roadmap” for adopting a statewide water plan. To date, the Alabama Water Commission has created a roadmap, but this roadmap has said that the Plan would simply be a “compilation of the State’s existing laws and policies into one comprehensive document.” p. 1. We urge you to go beyond a compilation of existing policies. Taxpayers have spent millions of dollars financing the creation of scientific assessments that study our water resources for the water plan; the state should now create a water plan that protects these water resources. Changes to the legal regime are necessary for managing our water supply and protecting us during water crises. For nearly three decades, Alabama has been working towards a statewide water management plan. There have been countless studies and meetings, but the state now appears closer than ever to adopting a plan. 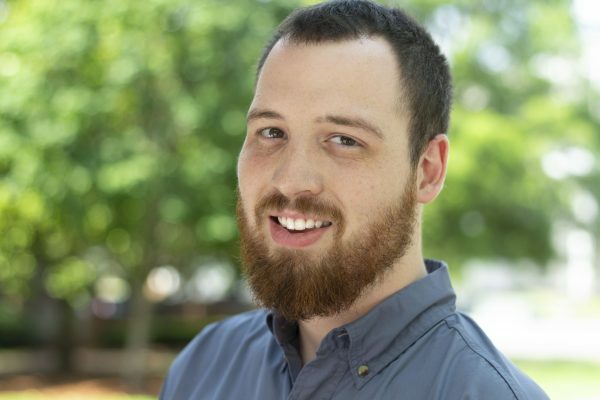 In January 2018, Governor Ivey directed the Water Resources Commission and the Office of Water Resources to create a “roadmap” outlining the appropriate path to get to an Alabama water plan. In late November, the Commission approved its roadmap that commits to adopting a water plan by July of 2020. As a citizen of Alabama, we appreciate the significant effort of each of you, as well as your continued support for the creation of a statewide water plan. Alabama is blessed to have 132,000 miles of beautiful rivers and streams. Alabama needs a water plan to keep our rivers and streams healthy and to protect our drinking water and way of life. Alabama ranks number one in aquatic biodiversity, supporting countless native species and unique ecosystems. Outdoor recreation like hunting, fishing, and boating is an essential part of life in Alabama. Creating a strong water plan will ensure that future generations can enjoy our outdoor traditions and the natural beauty of our state. By protecting the amount of water in our state, a water plan would reduce the impact of pollution and guarantee we have enough clean drinking water for ever Alabama community. Past droughts have reduced water supplies to dangerous levels, threatening farmers, businesses, drinking water supplies, recreation, and wildlife. With growing populations, competition with surrounding states, and unpredictable climate variability, this trend is bound to continue. As it stands, Alabama has no meaningful oversight of water use or supply. The only recourse for Alabamians to settle disputes over water availability is in the courtroom. Litigation is an inherently reactive and unfair way to protect water supplies. By the time cases are decided, droughts worsen, crops die, and communities suffer. For these reasons I support a commonsense statewide water plan that uses scientific expertise to proactively manage our water. The Water Resources Commission’s roadmap contains several important provisions. The Commissioners have worked closely with government agencies. Together, they made several recommendations that will benefit the people of Alabama. We strongly support the roadmap’s commitments to (1) continue water assessments and research, (2) develop a schedule to create a plan, (3) request budget expenditures, (4) produce better interagency coordination, (5) and remain open to future developments. These provisions will lead to a better understanding of Alabama’s water resources, which is a necessary step for preparing a comprehensive water plan. While there are many positives in the roadmap, the Water Resources Commission and Office of the Governor should keep the following additional recommendations in mind. We urge you to improve the weaknesses of the current water management system. The roadmap states that the first Water Resources Management Plan will be nothing more than the compilation of the State’s existing laws and policies into one document. That decision does nothing more than maintain an inadequate status quo and is not a plan. A water plan must be more than just a compilation of existing laws and regulations, especially for a state that has virtually no management of water use under the current law. A water plan is by definition proactive; it is a holistic plan that manages the large-scale supply of water. An effective water plan allows the state to use its scientific expertise and step in when it is necessary to protect water users and the environment. Alabama’s current system is not strong enough to do that. We lack an instream flow standard, an appropriate certificate of use program, and the ability to protect important water uses during shortages. The bare minimum of compiling our current policies leaves many of these crucial elements on the table. Without these components, the “Water Resources Management Plan” will be a water plan in name only. After thirty years and millions of dollars, it is frustrating that the state still does not have a plan. With all of that time and money spent, we believe a water plan should be more than just what is currently on the books. We are pleased to read in the roadmap that “AWRC and ADECA-OWR will review the considerable information [on the relevant resource issues] and determine appropriate courses of action including the need for any actions beyond the statutory scope of the AWR or ADECA-OWR.” We also appreciate the public comments of multiple commissioners and agency staff stating that the final water plan may include recommendations for important legal changes. We urge you to recommend these changes during the creation of a plan, as we must fill the existing gaps mentioned above. Additionally, our water resources are essential to every community and member of the public. This process should reflect that fact, giving special attention to the concerns and thoughts of Alabamians and stakeholders. During the creation of the plan, a detailed and easily accessible public involvement process should allow stakeholders to provide comments and have those comments answered. We appreciate the time that the Alabama Water Resources Commission has spent on the current roadmap and look forward to working with them, the state agencies, and the Governor’s Office to improve the current regime and create a water plan. CLICK HERE TO ADD YOUR NAME TO THE COMMENTS!